No matter the weather or season, nothing makes me happier than getting out and about in the North East exploring the fantastic National Trust sites that we have here in the region. We've had our membership for over two years now and, with the amount of special National Trust places we have across the North East, I would honestly recommend it to anyone. If you need still convincing, check out my post on 10 Reasons Why We Love Being National Trust Members! Welcome to our guide to National Trust in the North East! 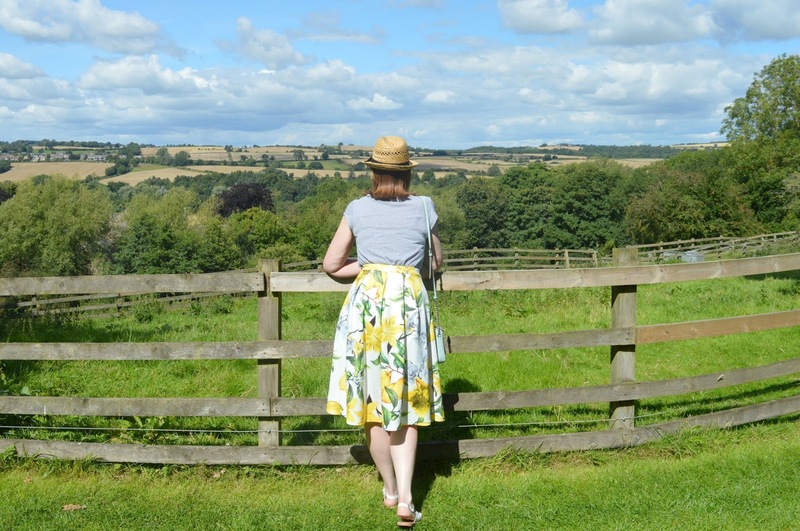 The first time we ever visited Cragside our jaws hit the floor, the beautiful landscape needs to be seen to be believed and the tall trees and dramatic views had us believing for a moment that we may have taken the wrong turn and ended up in Canada! My favourite thing about Seaton Delaval Hall is its dramatic history, it was once home to the Delaval family who were well known in the area for throwing the most notorious parties full of theatrics and pranks and wandering around the building it's really fun to imagine yourself there. There are some beautiful gardens to explore and a short woodland walk that truly comes alive during bluebell season where you'll discover the most stunning carpet of blue in amongst the trees. On sunnier days we love to spend an entire afternoon lounging about on the grass in the sunshine and playing catch. 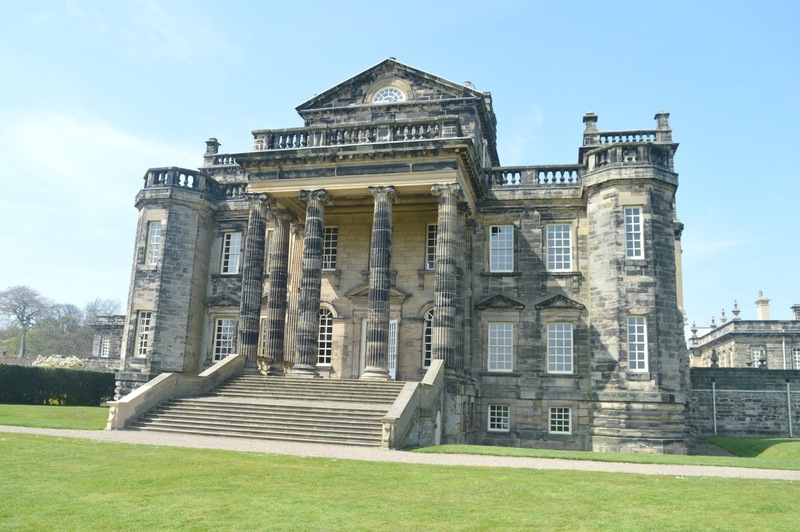 You can read more about our adventures at Seaton Delaval Hall here. Simon and I both love Souter Lighthouse and agree that is probably the most fascinating of all the local National Trust sites. There are 76 steps to the top of the lighthouse (I will admit I got a little scared on the ladder at the very top but it was worth it!) where you'll usually find a guide ready to entertain you with tales from the lighthouse, teach you the inner workings and offer you a great opportunity to enjoy aerial views of the coastline. Exploring the lighthouse reveals some really interesting local history and, although the tea room is small, they always have great scones! An absolute must for anyone visiting Northumberland, seeing the puffins on The Farne Islands is a magical moment that you'll never forget. The National Trust owned island can be reached using one of the many boat tours from Seahouses on the Northumberland Coast. The amount of coastal birds on the island is incredible and it's a very special experience. As you can imagine, there are no tea rooms on The Farne Islands (can you imagine it!) but with so much incredible wildlife to enjoy the lack of cake will soon be forgotten. 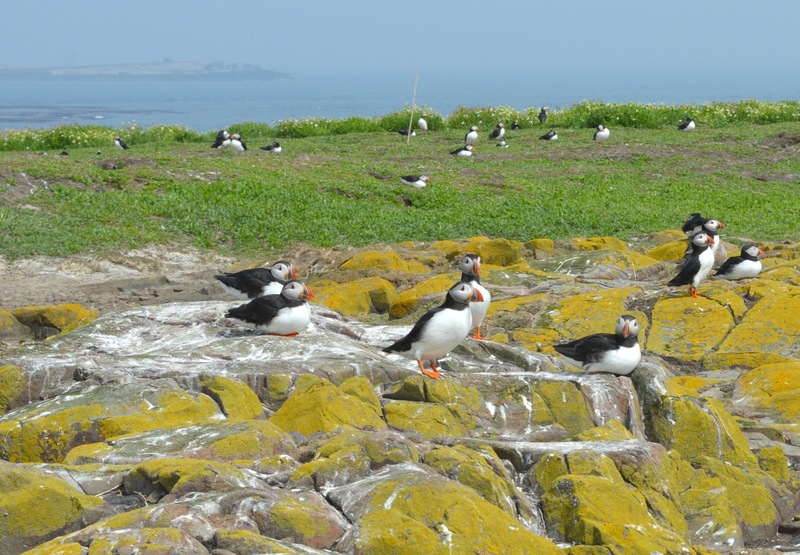 You can read more about our adventures at The Farne Islands here. One of the most famous folklores of the North East, the Lambton Worm lived on Penshaw Hill which is also home to the Penshaw Monument, a half scale replica of the Greek Temple Hephaestus and a site so famous in the region it features on Sunderland FC's badge. The climb to Penshaw Monument is very easy and it only takes a few moments to climb the steps up the hill to the top where you are greeted by the 66 foot monument towering above you. The views are pretty fantastic and if you're lucky enough to time your visit well, some weekends you can climb the hidden spiral staircase for breathtaking views from the very top. 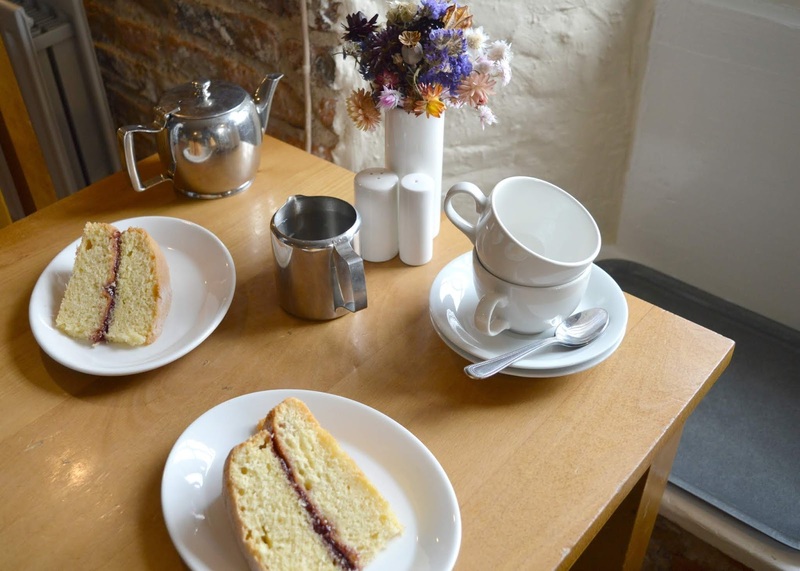 Although there's no National Trust owned tea room, Penshaw Tea Room is just round the corner for your cake requirements and with beautiful Herrington Country Park just over the road offering perfect views of Penshaw Monument it's well worth planning a day trip. You can read more about our adventures at Penshaw Monument here. I was quite tempted to leave Cherryburn out of this guide because it is a really peaceful beauty spot that's yet to be discovered by so many. Far smaller than the larger sites in the region we have visited on scorching hot weekends where we've had the entire lawn to ourselves! The ultimate place to grab a deckchair in the Summer and enjoy some peace and quiet, it seems to fly a little under the radar. The farmhouse at Cherryburn was the birth place of Thomas Bewick, someone I have to admit I feel quite a connection to as he was so passionate about Northumberland and the nature of the countryside. The greatest artist and naturalist, he loved running bare foot in the wilds of Northumberland! Although very small the farmhouse is well worth an explore and the short circular walk offers the most stunning views of Northumberland as well as the chance to say hello to the farm yard's cute animals. The tea room is pretty tiny so not the best, but as this little spot is perfect for picnics (and somewhere you can easily get your hands on a National Trust deckchair without a fight!) it really doesn't matter. You can read more about our adventures at Cherryburn here. If you were to mention Ormesby Hall to my husband he'd probably launch into stories of his beloved childhood train sets because the National Trust house in Ormesby is home to some very impressive model railways run by some lovely train enthusiasts who will impress with their stories of trains and British history. 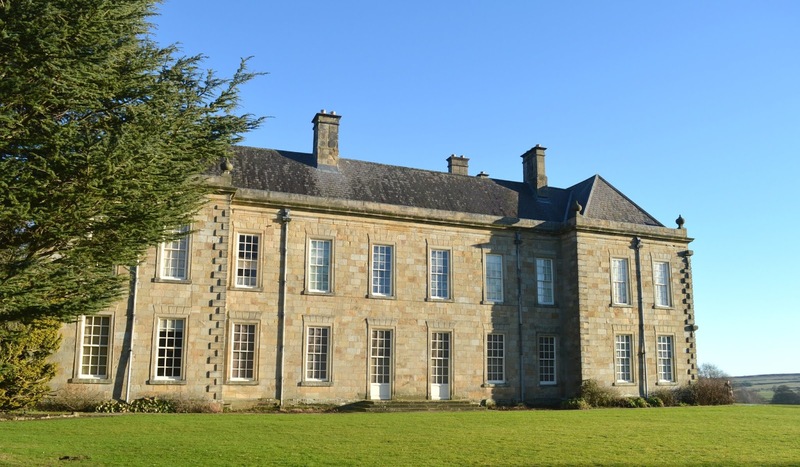 The Hall is beautiful to explore and although pretty small the surrounding gardens and parkland make it worth a visit if you're in the area. Our favourite place for: cake and wine! 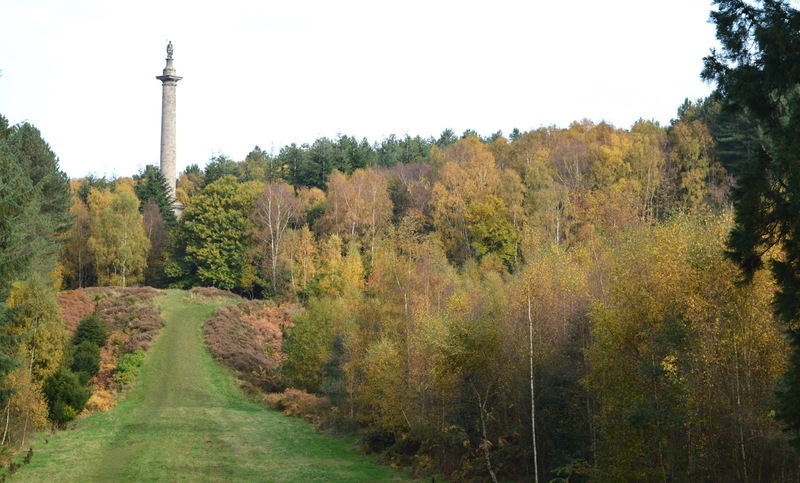 Our most visited National Trust site has to be Gibside and I think we have now completed each of the walks at least three times. Beautiful in every season, we love strolling through the woodland in Autumn, enjoying a drink in the Gibside Pub during the Summer (highly recommend if you've never been) and in the Winter time we have been known to visit just the tea room for a slab of Victoria Sponge (one of the luxuries of having a membership!). You can read more about our adventures at Gibside here. Wallington is my favourite National Trust site in the region for seasonal flowers with snowdrops in Winter and the crocus lawn in Spring. It's also the only National Trust site in the North East where we've seen a red squirrel thanks to their fantastic bird hide. The Lambing Shed Live happens every Spring time with the chance to take a tractor ride from Wallington to nearby Broomhouse Farm for tours of the lambing sheds and, if you're lucky, the chance to see some lambs being born. You can read more about our adventures at Wallington here. 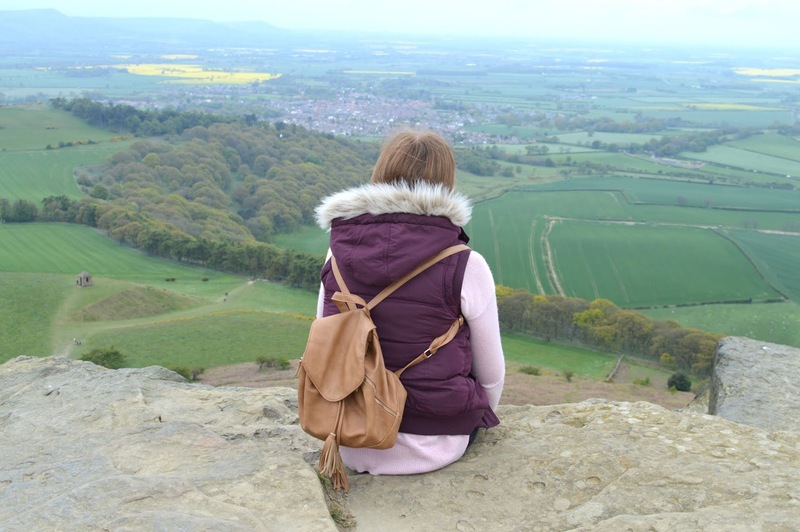 Climbing up Roseberry Topping is a must for your North East bucket list and although the climb isn't too challenging the views from the top make it feel like you've truly conquered a beast of a mountain. You feel like the King of the World sitting on top of the rocks at the top and, if it wasn't so bloomin windy, I'd happily spend an entire afternoon up there admiring the North East countryside. You can read more about our adventures at Roseberry Topping here. We're so lucky aren't we! I took my bro to Gibside this week and he was pretty much sold on becoming a member straight away! You guys need to make it your mission to visit Lindisfarne castle, Washington old hall (although I'm sure you've visited there?) and Housesteads Roman Fort next. So lucky! We have a few back home in Norfolk but the amount we have in the North East is just incredible, so many choices of places to go ... and we have the added bonus of not being too far from some of the Yorkshire properties too! Yes, Lindisfarne Castle is a priority (we're waiting for the end of the exhibition first) and we haven't actually done Washington Old Hall yet! Out of all these I’ve only been to Wallington, Gibside and Cragside despite living in the north east since I was 4! Not even climbed Roseberry topping even though I grew up in Teesside. Thanks for sharing and making me realise I have to get out more! Whinstone view is just next to Roseberry topping - awesome place! I'd say those are the big three but some of the smaller properties are definitely worth a look! We actually went to Whinstone View for a sandwich after climbing Roseberry Topping! What a brill roundup! We’ve been members for a few years and have enjoyed many a great walk and picnic. Not been to ormesby so need to check that one out! Thank you so much! Having membership is just the best isn't it! Thank you! It's only our second yet but I honestly think we'll have membership for life now, it's so useful to have. I love that when we go on holiday we have so many new places to pick from and because our membership is all paid for in advance it almost feels like we can have a free day trip whenever we fancy it!